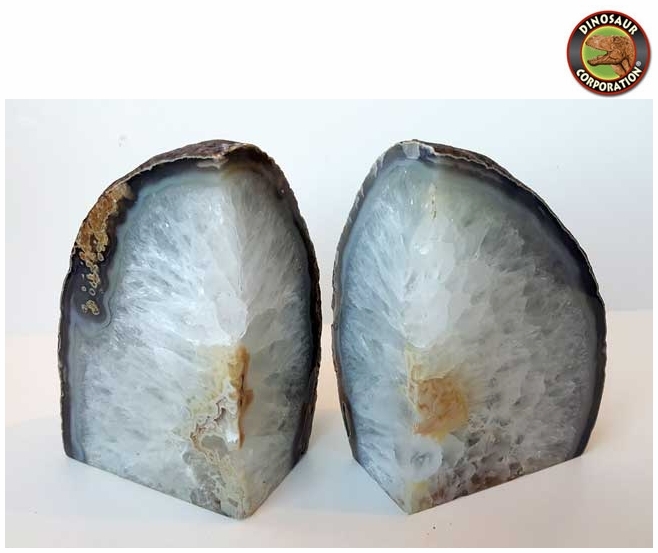 Home | GEMS | Agate Geode Crystal Bookend 6"
Get the gorgeous beauty of stone with the Natural Agate Crystal Bookend. The crystal-like design will make you want to reach out for the book you've been wanting to read. The natural cut and look of this bookend gives any room decor a graceful touch.